What is a tenderloin sandwich? 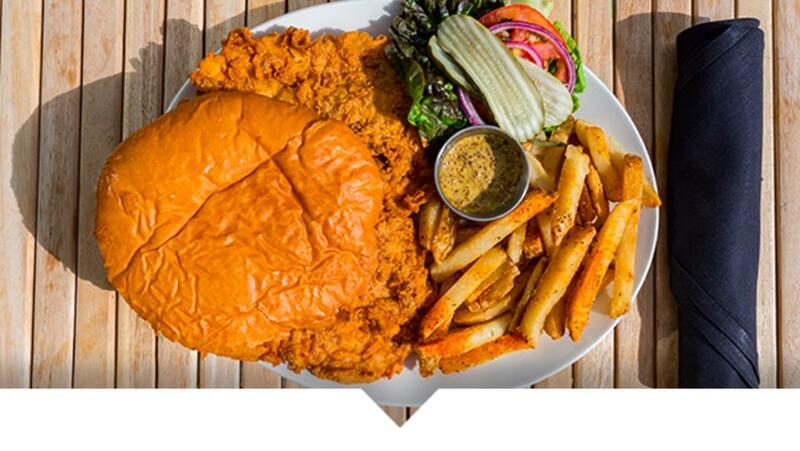 When someone refers to a tenderloin anywhere in Indiana, they’re probably talking about the pork cutlet served on a bun - but go anywhere else and clarification will be needed. Pork tenderloin is pounded thin with a mallet and then hand-breaded, fried and served in jaw-dropping proportion to a toasted bun. What goes on a typical tenderloin? Typical toppings include mayonnaise, ketchup and onions. Often, tomatoes, lettuce, pickles and mustard are added. As for sides, most are served with chips, onion rings or French fries. Take it from us, the chive fries at Dooley O’Tooles are out of this world. How do you eat a tenderloin? Devouring the tenderloin is an art all its own. While there’s no wrong way to tackle a tenderloin, you can stack it, edge it, half it or just dig in. Make sure you have extra napkins on hand, because things might get messy. Are there different varieties of tenderloins? While the tried and true version is hand-breaded and fried, you can go the “healthy” route and order a grilled tenderloin. Local restaurants offer different spins, like the Upland Brewing Co. seitan tenderloin, Nickel Plate Bar & Grill Cajun tenderloin, Rosie’s Place pork tenderloin benedict and Woodys Library Restaurant kettle-chip encrusted or blackened version. Are tenderloins always as big as my face? Don’t be alarmed if you can’t see the plate, and if it seems the bun is far too small for the size-of-your-face tenderloin. This is normal. For those with smaller appetites, check out Dooley O’Tooles mini option. Why is Indiana so famous for tenderloins? As legend has it, Nick Freienstein added a pork tenderloin sandwich to the menu at Nick&apos;s Kitchen in Huntington, Indiana in 1908 and started it all. Breaded in cracker crumbs and soaked in buttermilk, his recipe is still popular today. Restaurants all over Indiana have their own varieties of the famous sandwich, including over 50 eateries right here along the famed Tenderloin Trail in Hamilton County, Indiana. Now that you&apos;ve been taught the tenderloin ways, it&apos;s time to try one for yourself! To see all participating #TenderloinTuesday restaurants and deals, visit TenderloinTrail.com. Happy eating!